Using a camera system sensitive enough to take pictures of clouds by moonlight, military weather satellites provide a view of the Earth's surface at night. Light sources such as streetlamps in urban areas, gas flares in oilfields, bushfires and even the lights of fishing vessels can be identified. 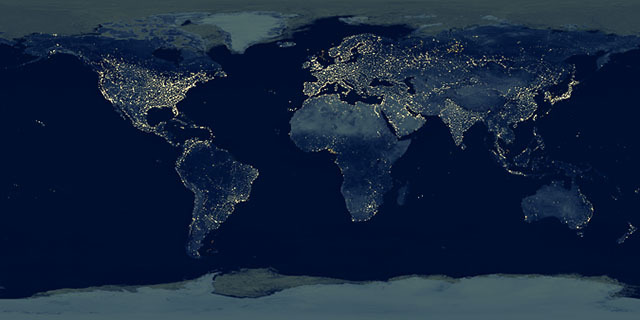 Worldwide night-time texture map data is available up to 1km resolution, supplied either as an 8-bit greyscale mask, or combined with a darkened Satellite Imagemap as a 24-bit full colour image.